Sweet and Spicy Meatballs that combine both ground beef and pulled pork = Dirty Meatballs (a.k.a the best kind of meatballs). 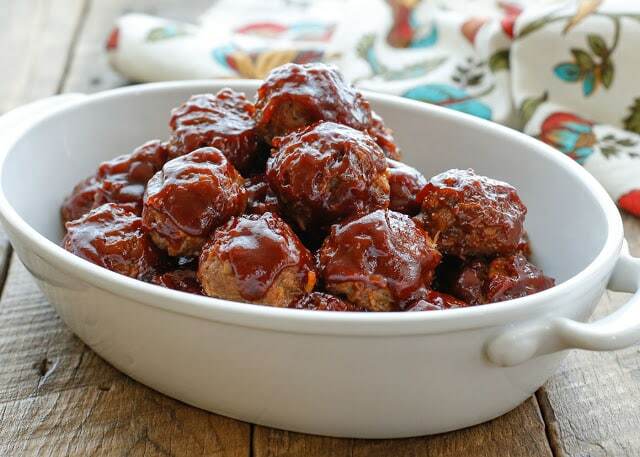 Tender pulled pork is stuffed into these bite-size meatballs and then they’re coated in an irresistible sweet and spicy barbecue sauce. 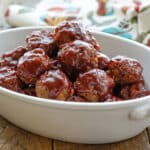 Served with roasted potatoes and plenty of barbecue sauce on the side for dipping, these Sweet and Spicy Meatballs have been my boys’ favorite meal for the past couple weeks. These Dirty Meatballs were inspired by the Filthy Burgers that we made last summer. 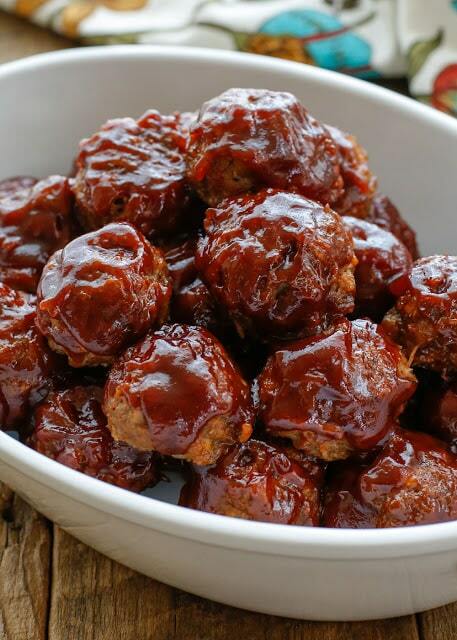 Sweet and Spicy Meatballs are everything I love about pulled pork in a bite-size meatball. The bits of pork along the edge of the meatball get a little bit crispy, the inside stays juicy and the whole thing is coated in a sticky sweet and spicy barbecue sauce. I highly recommend you set aside a bit of pulled pork next time you have it in the house because these meatballs are an excellent way to make the most of the leftovers. I like to serve these Sweet and Spicy Meatballs with Roasted Potatoes, Memphis Coleslaw, or Slow Cooker Baked Beans. Kitchen Tip: I use these baking sheets to make this recipe. Preheat the oven to 400°F. 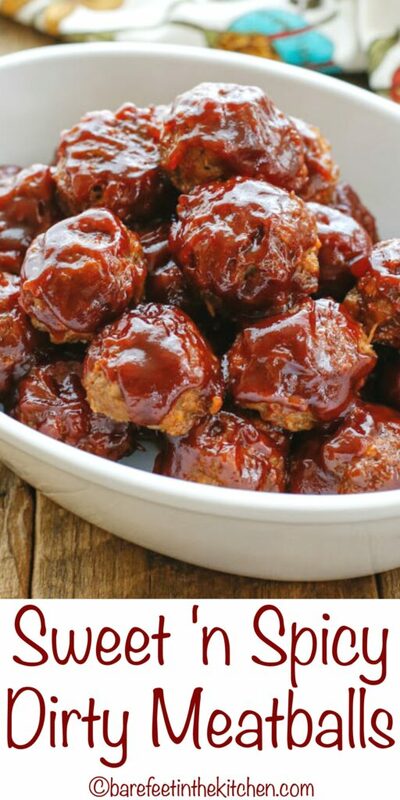 Combine the pork, beef, and 1/2 cup barbecue sauce in a large mixing bowl. Mix with your hands to evenly mix the different meats. Season lightly with salt and pepper. Scoop and shape into small 1-inch meatballs and place on two foil lined baking sheets. 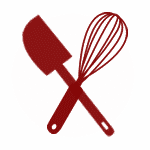 Set aside 1/2 cup barbecue sauce for serving and refrigerate until needed. Top each meatball with a generous teaspoon of the remaining sauce, and brush to coat the tops if needed. Bake for 16 minutes. Remove meatballs from the oven, brush with an additional teaspoon or so of sauce and bake an additional 2 minutes. Serve with the remaining sauce on the side for dipping, if desired. Enjoy! These sound delicious - pulled pork makes everything better. These meatballs sound samazing! Thanks for the shout-out for my Greek Meatballs too. I am down for anything with "Dirty" in the title. Haha! These sound amazing! I love putting unexpected things in meatballs. It's so fun, and this sounds delicious. My mom used to give out prizes to dinner guests if they could guess what was in her meatloaf. I'm not even kidding. Haha! Does the "2 cups pulled pork" include sauce, or just the cooked meat? Thanks! The amount of sauce shouldn't affect the overall amount of meat too much. If it's extra saucy, just figure mostly meat in the measurements. I think this recipe will be the secret to me FINALLY winning a meatball cookoff competition at work! These looks delicious, indeed! Looking forward to make them this weekend! Can these be frozen? Before or after cooking? I've frozen them both before cooking and after cooking. Thanks! Any differences? I’m going to slow cook some pork today for the pulled pork part of these - do you have any tips on ingredients to put in the slow cooker?